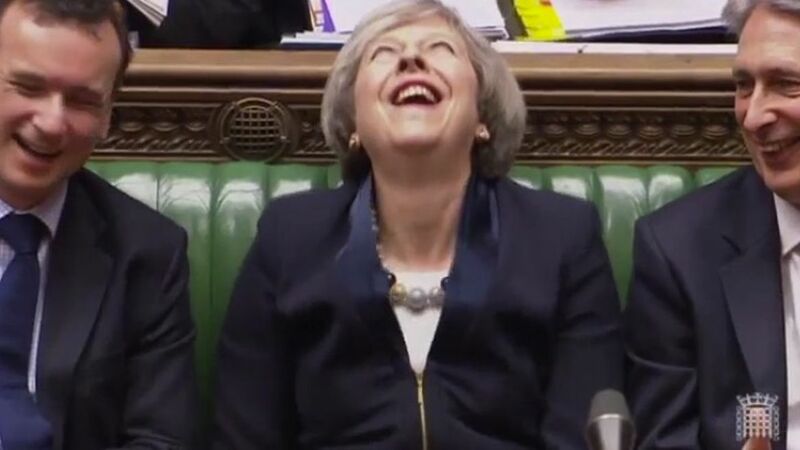 Theresa May is laughing at you, because she thinks you’ll swallow any old lie she utters at the Dispatch Box. The BBC’s Daily Politics could run it as a subtitle while broadcasting the weekly “shouty time” exchange. Now that the programme’s Tory editor has departed to be Theresa May’s communications chief, there’s no better time to mark a change of direction with a bold move like this. And the social media will be monitoring, to make sure they get it right. Yesterday's PMQ's was SHOCKING in the extent of Theresa Mays deliberate misleading and distortion of facts! The people of this country deserve better then this! PLEASE SHARE! Without an on-screen prompt showing when she is making up stories, Mrs May will continue to get away with it – as will other prime ministers in the future. The general public will believe her, because she is speaking from a position of authority and because her words are broadcast on the news. It’s time to show her that she can’t get away with it any more. This morning Nick farrari was trying to make out that the bbc are biased regarding Brexit! He’s been saying the bbc are left wing favouring for years! Maybe the first step should be to get the BBC to actually report rather than try to lead public opinion, wild speculation on its news and current affairs programmes add nothing to the debate.